Don’t you love this idea as a housewarming gift for new homeowners, particularly first time home buyers?! 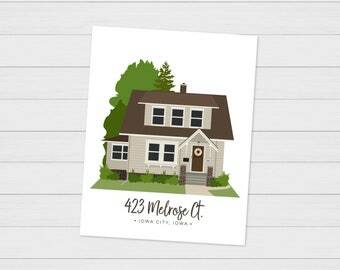 Simply send me a photo of the home and I'll create a unique and personalized modern art illustration to commemorate and display, complete with family name, address or any personalized text of your choice. This art print makes a wonderful memento of a childhood home, family cottage or cabin. Perfect gift for parents, moms, dads, grandparents, clients and newlyweds. 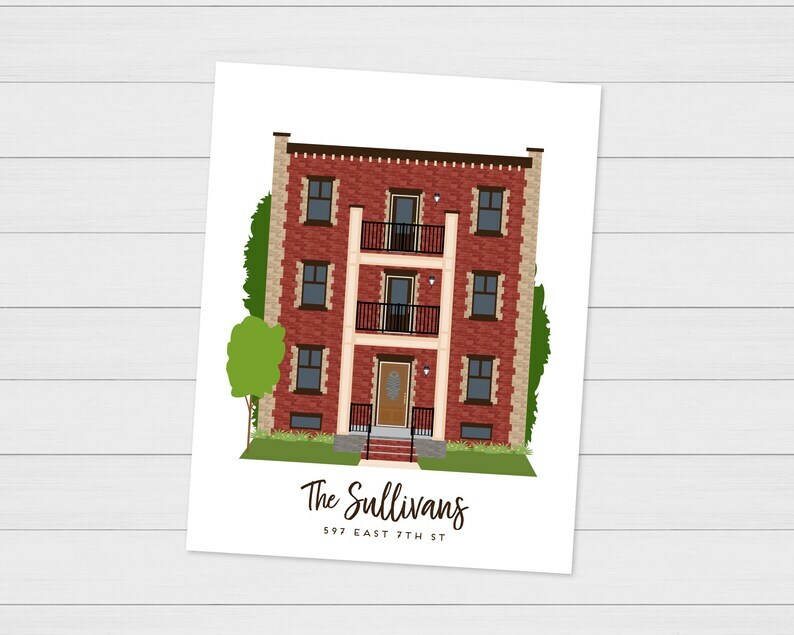 These make fantastic Realtor / Real Estate Closing Gifts!